If you have any long night races in your future, you’re going to want a bunch of extra lights on your car. 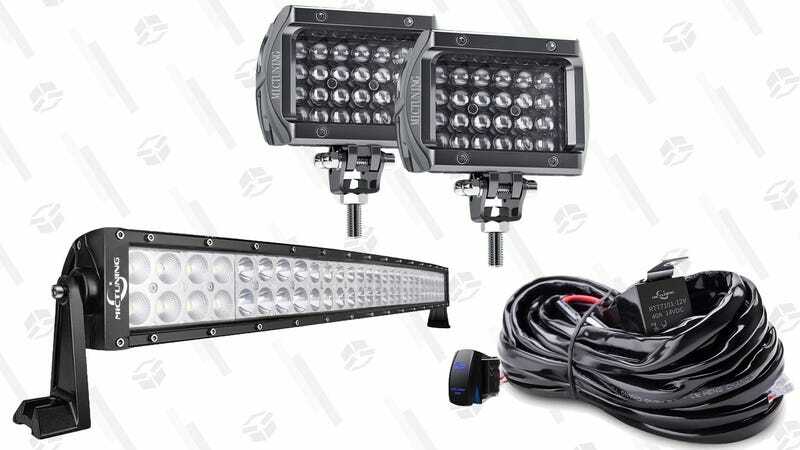 Today only on Amazon, several MICTUNING LED light bars, light pods, and installation accessories are on sale, many for all-time low prices. Just be sure to point them towards the road so you don’t blind your fellow racers, you jerk. Just note that like all Gold Box deals, these deals will run out of gas at the end of the day.